You might think that online retailers don’t need much optimization since shoppers are simply looking for a specific product within their budget. If someone clicks onto a retailer’s webpage, they are already ready and willing to purchase something, so the conversion is easy, right? Wrong! 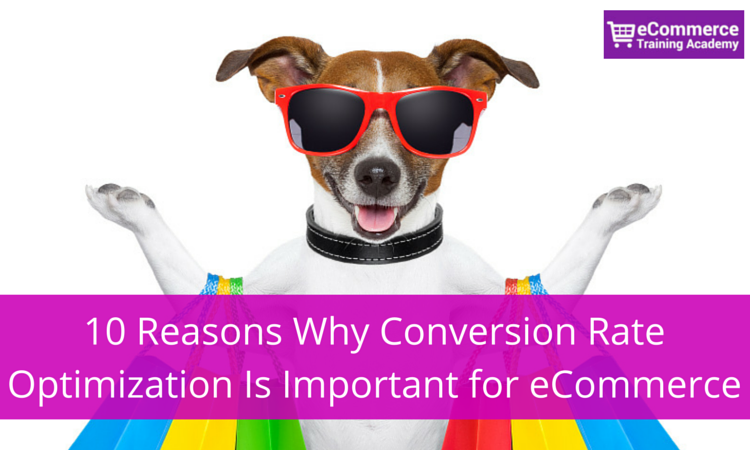 In most instances, retailers need conversion rate optimization more than other kinds of online businesses for many reasons which I will outline in this post. A website that is difficult to navigate, does not look trustworthy, or does not immediately prove its value to the page visitor is going to cause that visitor to click away whether or not they are already determined to take action (add item to cart or checkout). The importance of conversion rate optimization for online retailers is that it allows them to make the most of the site traffic that they already have and effectively making more money without having to spend much more for the optimization or for customer acquisition. Here are ten more reasons why conversion rate optimization is important for your business. It’s probably no secret to you that pay-per-click’s (mainly Google Adwords) price is being seriously hiked. Higher and higher demand for the platform is the culprit—that’s just simple economics, but it doesn’t make shelling out more money any easier. Pay-per-click used to be the best way for new or small businesses to get some attention while search engine optimization kicked in, but it’s becoming less and less of an option, especially if not all of the clicks convert into sales. Online retailers are noticing their PPC ad spend budgets increasing while conversions within their eCommerce store are decreasing. That’s where conversion rate optimization helps make the most clicks that you do get, so that clicks actually pay for themselves. Across the board, there are more and more retailers online, competing for your customers. Some of them (ex: Amazon) are simply eating away other smaller retailers. That means that if you want to convert your page visitors into customers, you need to have a website that is easy to use and which automatically funnels the visitors towards taking the actions you want them to take (purchase an item or signup to a newsletter). The more competitors there are, the more competitive you need to be. Conversion optimization has the benefit of allowing you to stay ahead of the competition. It isn’t just pay per click that is on the rise. Just about any kind of digital marketing—and, let’s be honest, print and television marketing—is going to be more expensive right now than it was six months ago. The whole point of marketing is to direct users towards your store, but how can you make sure that more of them actually make a purchase when they get there? That’s where CRO helps. By increasing the number of page visitors who make purchases-improving the conversion rate, you can combat the rising cost of digital marketing. Social media (ex: Facebook, Twitter, Instagram, Pinterest) is a great venue for marketing and for connecting with new and existing customers, as well as increasing authority and building loyalty among your customer base. Social media has increased the number of page views, but it has also fostered the atmosphere of a shorter consumer attention span. That means that you need to be able to capture and leverage customer interest once you have it. 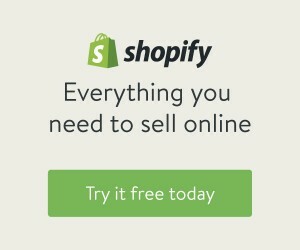 Having a product listed on your site isn’t enough anymore. You need to differentiate yourself from the competition which will require you to have your own unique story tied to your offerings. It’s not a myth, there have been plenty of psychological studies that have proven that the rising generation of consumers have short attention spans that their predecessors. What does this mean for an online retailer? It means that if the average user cannot quickly find what they need, or at least quickly figure out how to find what they need, they do not have the attention span to stick around and give the website more of their time. Instead, they will look for a website that more readily provides them with what they want, even if it is at a higher price. Conversion rate optimization, like we said above, combats this mentality. 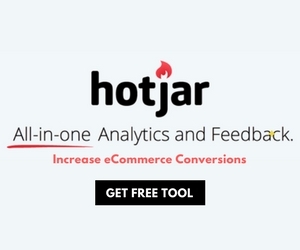 Online retailers will increase the chances of getting the shoppers attention with CRO. An online store that is continuously being optimized looks more legitimate than a business that has not. 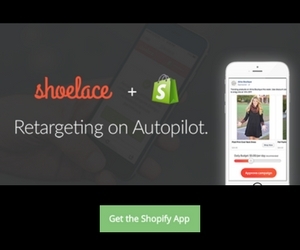 It builds a clear path from the landing page to making a purchase. For an online retailer, this usually means something like having an inventory that can easily be searched, or with clear categories so individuals can look at just what they want to look at. It also means making the online shopping cart visible and easy to access, including perhaps even having it open up each time an item is added, so that making a final purchase is as easy as clicking a single button. It’s also about displaying answers to any type of question shoppers might have about your product or ordering process (shipping fees, return policy). How could spending more money to get your website optimized actually save money? You’ll likely find that you are spending less money on each customer. Maybe you are not necessarily saving money, but you are making more money, which is nearly the same thing. 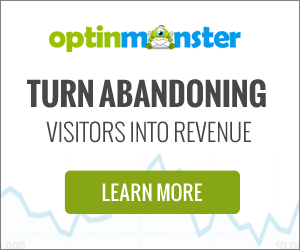 Read my article about the benefits of CRO. If you work with affiliate marketers, and many online retailers find this to be a good way to get news out about their products, through a platform that already has an engaged audience, CRO makes your website more valuable to your affiliates, and to any other marketing platforms. When a higher number of users who click-through to your webpage actually make a purchase, your affiliates, pay per click advertisers, social media marketing campaigns, etc., make more because you are making more. CRO is a win-win solution for both the online retailer and partners. Is your online store laid out so that it is easy to scan, easy to search, and easy to actually make a purchase? While a website redesign may not be necessary for all online retailers, it can help some achieve more sales. I usually don’t recommend doing a full revolutionary redesign but rather an evolutionary redesign. Conversion rate optimization makes your page make sense to users. It reduces friction and shopper anxiety. Keep in mind that your visitors are not you, they did not build your store, and if it is not intuitive to use, they will find another website that is—and there are some really good websites out there. Unlike search engine optimization that can take months to show real, positive results, conversion rate optimization provides immediate results. As soon as the changes are made and your website funnels users towards making a purchase, you will see a higher rate of users making those purchases, instead of defecting to your competition and making their purchases there. Best part is, CRO is long-term results but needs continuous improvement and testing. 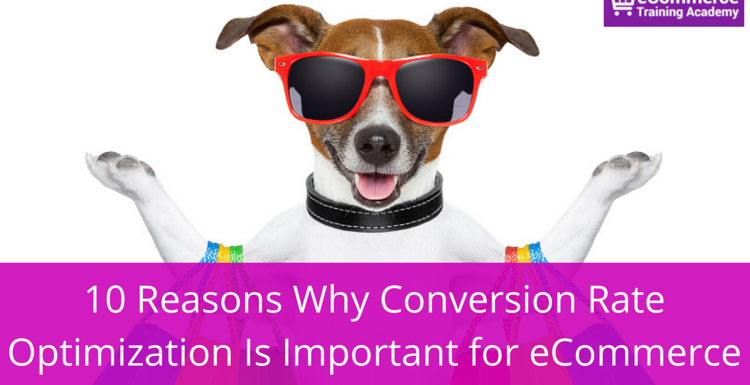 The real importance of conversion rate optimization is that it gets the ball rolling. It helps you acquire more customers in a shorter amount of time.It improves your other marketing campaigns. It’s not just the cherry on top of your sundae, it is the ice-cream, the foundation upon which all other efforts reside. Even if you are only seeing a small amount of traffic, you can start making more money off of that traffic, and in turn, increase in your popularity, so you get even more traffic. Once CRO is in place, it hugely benefits you and your business. Now is the time to get your website conversion rate optimized! 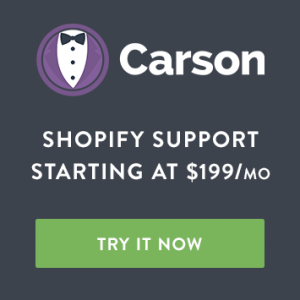 How important is CRO to your eCommerce business?